This entry was posted in Uncategorized and tagged BBC, Fi Glover, radio, Radio 4, Saturday Live by Maria Williams. Bookmark the permalink. Dear Fi, I was SO sad to read in the paper that you will no longer be presenting Saturday Live – I am still hoping you will return to BH, but that’s another matter. I really enjoy all your radio presenting, your sense of humour, your turn of phrase and everything about your programmes. I for one (of I am sure, millions!) will really miss you and Saturday mornings just won’t be the same again. I refuse to leave my bedroom radio until the programme is over!! Whatever your plans are, I wish you all the very best and I so hope that you will be back on the airwaves again before too long. One thing, I was surprised to see the photos of you in the paper and on the web – you are blonde on my radio!!! I’ve enjoyed the programme from the first. The sudden tragic loss of John Peel left a yawning gap in the schedule, and, valiant though they were, Radio 4’s effort to keep ‘Home Truths’ going with a succession of different presenters was doomed to failure from the start, because, as Andy Kershaw pointed out, it was ‘pure piffle’ and only John Peel’s presentation made it the classic it became. Saturday Live was the prefect replacement programme and Fi Glover the perfect replacement presenter. She once described the show as ‘the Home Truths Tribute Band’ and that was touching, but she and Saturday Live are more than that. The show won’t be the same without Fi, but I reckon it has a better chance of surviving and evolving than Home Truths did after John Peel’s death, becaus it is much more than ‘piffle’. So good luck to the team. And I hope we’ll hear Fi and her witty style back on the BBC before too long. Why did Fi leave the programme? Was she unwell? We hope she is on the air again soon. Hi Anna. No, Fi is very well indeed. She just wanted to work on some new projects, and to have a bit of a lie in after 5 years of getting up at 0530 every Saturday! I’m sure you’ll hear her back on the airwaves in another guise very soon. I am with Sally King – Fi was also blonde on my radio! However, surely the BBC can find someone less boring than the oily rev Coles to present this programme? eh? I too was puzzled and frustrated enough about Fi’s disappearance from S.Live to find out what had happened. Good to know she’s well and likely to reappear somewhere. My comment is: Rev Richard Cole is a poor substitute which is why I was waiting for Fi’s return. Nothing personal but he just don’t cut the mustard for me. As a previous sub. I thought Clare Boulding came close to possibly surpassing Fi; I suppose she’s busy too. I actually like the Rev Cole’s style, even though his will never match Fi GLover’s. I think with him in the chair, th eshow has a better chance of surviving than Home Truths had with the people they called in to rplace the irreplacable John Peel. But whatever the BBC allows Fi Glover to do I hope it will allow her natural wit and sense of humour to shine through. Love the saturday live show and am glad to see that I am not the only person lying in bed whilst listening. I am 48 years old and Fi is the first person I have ever written a ‘fan message’ to, that says it all! I would love her co host the Woman’s Hour programme with Jenni Murray, that would be the ultimate team. Excellent idea! I’m a bloke, but I often listen to the saturday ’round-up’ edition. Fi would make a fantastic interviewer for the ‘human interest’ items, as well as a presenter of the more light-hearted ones. But then again, what about putting her on ‘The One Show’? I’ve also always been a fan of the programme and dare I say that John Peel’s programmes sometimes bored me. Saturday Live was always more democratic, down to earth for me.. I too will miss Fi’s style of presenting – she and the Rev Cole complemented each other very well.. a bit like Gin & Tonic.. and I hope a worthy replacement for ‘the presenters team’ will be found – Richard does have other commitments occasionally ..
Well I find it difficult to believe that I’m the only listener to Saturday Live who is relieved that Fi Glover has gone. I never liked her on there from start to finish. What came across to me anyway, as her world weary, undisguised sarcastic attitude was very nearly a show turn-off for me. The only reason I continued listening to the programme was because I found many of the feature stories and guests interesting. But if only I had had a facility to switch her voice off so I could have listened to the rest of the show Fi-free! However, congratulations to the-powers-that-be at Radio 4, for giving the good Rev. Richard Coles the job. I’m a huge fan of him! He’s sharpe and has a great sense of humour. He’s already made the show his own. Vincent, I completely agree with everything you say! I used to switch off at the first note of that tune. Shame because the programme was good. Love it now! Thank God Glover has gone. Nasal, dull, unimaginative and snobbish, she’s better off somewhere like R5. People overestimate how much Peel was liked. He wasn’t. I have to disagree with you on both counts. Fi Glover was clever, witty, and funny and the perfect replacement for John Peel. Peel himself was one of Britains’ finest broadcasters. He too was clever, witty and funny, as well as self-deprecating. He was also incedibly sensitive when interviewing people who had a sad or painful story to tell; setting them at their ease, and letting them tell their own stories in their own words, with only a few questions here and there. But he was a ‘broadcaster’ in the true sense of that word. When the BBC finally decided to get rid of the shallow, self-promoting Radio 1 DJs, it retained Peel because they realised he was in a different class. As well as Home Truths, and his Radio 1 music show, he broadcast for the BBC World Service and for many European Stations too, and provided voice-overs for many documentary programmes on television. I for one am grateul to him for introducing me to a wide range of music I would otherwise never have heard of, let alone heard, and up to the day he died he was promoting new acts, and new styles of music. I still miss his warm, comforting voice. Fi Glover, no doubt, will be with us again shortly. (She has already sufaced as a panellist on ‘Just a Minute’ on Radio 4, and very good she is too. Saturday Live has always seemed to me to be Radio 4 in tabloid form. I have never succeeded in listening to a whole programme and have much more objection to its shallow content than the actual presenters. Worst of all, and the thing that gets me reaching for the Radio 3 button every single time I hear it, is the truely hideous signature noise – please do something about it. How can anyone at the Beeb think that this meaningless dirge will tempt listeners into the programme? And why the Reverend Coles? His title is irrelevant – titles are not used anywhere else on radio 4 except for presenters of ‘Thought for the Day’ where it is appropriate. For reasons best known to the producers, his title appears to be used in a purely manipulative gesture. Radio 4 in tabloid form. Hmmmm. What about Broadcasting House on Sunday morning? Mind you, I would put Paddy O’Connell (and his predecessor, Eddie Mair) in the same bracket as Fi Glover; perhaps they should take turns presenting Saturday Live. I presume your referenec to Radio 3 is to prove to us peasants who have over the years enjoyed John Peel, Fi Glover and Richard Coles (all excellent in their own way) that you are cultured and we are not. I’d better not let slip that I also listen to Radio 2 and 6M (including the brilliant Cerys Matthews) – oh as well as Radio 3. And heavan forbid I followed Jon Peel from Radio 1 and TOGWT. I have persevered with Richard Coles, but I can’t say as I like him. As a broadcaster that is; I have no way of knowing if he is a likeable person, per se. His voice is unmodualated and and he sounds as if he’s reading from a script (I don’t doubt he is and that Fi used to previously – but then she didn’t sound as if she was). The differnce with Claire Balding, last Sat, just underlines how inadequate he is. Shame really, but at least the Saturday papers will get a better seeing to now with no distracitons until 11 o’clock. I totally agree with you. I have never contributed to any comments about radio before but I feel so strongly that Saturday Live has become Saturday Dead. Home Truths was one of my favourite programmes and Fi Glover had huge shoes to fill. In my opinion she created a wonderful start to the weekend. I have persevered with Richard Coles but I find myself depressed and disinterested by his rapid fire script reading and am allowing myself to listen to Radio 3 instead. Thank God she’s gone. I didn’t like Peel (mighty? For aireheads!) But like Peel, Glover evidently thought that she was terribly clever for biing on R4 and that smugness never failed to come through. I hope that she never comes back on anything. Fi is queen of all radio; devastated she is not on SL anymore not the same. Come back Fi please. PS Chris Brown above needs to learn how to spell. Phenomenal guest today. Fergus Anckorn’s story of being in a Japanese war camp was one of those staggering anecdotes which is impossible to comprehend unless you have been witness to it. Love this show. Your best guests seem to be the ‘uncelebrated’ and unknown who have lived lives beyond imagination. Thanks for today again. Yes, I heard that too and was just as impressed. Could it be that ‘Saturday Live’ is slowy morphing into ‘Home Truths Mark II’? Looking at the above comments I better declare myself as a Fi fan but for me all presenters are merely glue that hold the programme together. That said some glues are stronger than others. It’s quite simply the guests that provide the memorable moments. Some of the moments on Saturday Live have made me hold my breath. It would always be Fi’s delicacy of touch and glint of humour that brought me back and leave me smiling. Fi Glover was brilliant.The job of replacing John Peel was probably impossible.He was a one off. In recent times, Saturday live has gone down the pan, too many boring “celebrities”!We don’t need them on radio 4 ,we are intelligent people. Today,I have just listened to the most drivelly interview ever. I can’t agree more. Saturday Live (like Hone Truths before it) should be a ‘celebrity-free zone’. ‘Ordinary’ people, like you and me and the millions of other listeners to the programme, all have a unique story to tell. They should be the ‘stars’ of the show. I do hope the BBC keeps this in mind. In an earlier commment, there was a discussion about The Reverend Richard Coles, and whether he was the right person t step into Fi Glover’s shoes. I thought he was at the time, but now I’m not sure. I’m a regular listener to ‘Good Morning Sunday’ on Radio 2 and just recenty Hardeep Singh Kohli has been sitting in for the regular presenter Aled Jones. He displays that same mix of wit, humour and understanding that Fi and John Peel had, and which made their shows the successes they turned out to be. I wonder if he might be a beter presenter for the show. Perhaps he could sit in the next time the ‘Rev’ is on holiday? Where has Fi gone? I have listened to Saturday Live for almost two years now and it makes my Saturday lie ins. Fi seems to have disappeared without warning. I must have missed her parting anouncement. Several people have stood in, mainly the boringly bland Rev. Coles. The edition on 31st December was presented by a woman called Anita Anand. Who in the BBC thought this yelp of a woman could hold a candle to Fi? Perhaps she will mellow with age, and get the timing right at both the beginning and end of the programme. Am inclined to turn off. What a pity! I’d just like to congratulate the production team behind Saturday Live – I look forward to the programme every week and can honestly say that I have never been disappointed! I do miss Fi though…. I really enjoy Saturday Live and think it’s filled the void left by John Peel very well. However, I so miss Fi STILL! Can she return please? I noted when reading an earlier blog, the suggestion of her being part of Woman’s Hour. What a brilliant idea? How well she would fit with Jane Garvey (who I really like!) Oh, come back Fi, if just to share your baking expertise! Bring back Fig Lover! I loathed her at first (usual reasons: arch, sarcastic), but came to really appreciate her sharpness. Switched off this morning’s diluted offering. A nice bland ladylike presence is exactly what’s NOT needed. I don’t think paired presenters works anyway – immediately seems too cosy and exclusive. 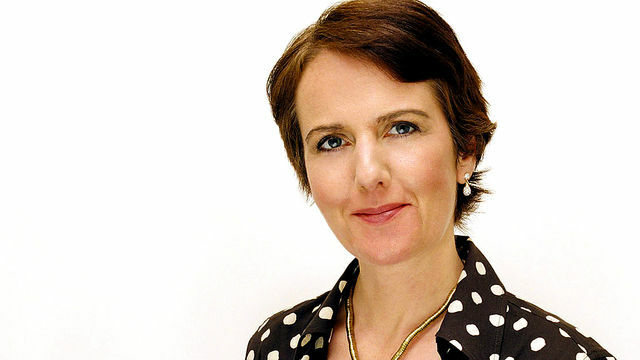 As I tuned in early for the midnight Radio 4 news on Friday 25 May, the much-loved and much-missed voice of Fi Glover grabbed my attention. She was introducing a programmette called ‘The Listening Project’ which, whilst it might turn into something significant in terms of legacy-broadcasting, is hardly the major vehicle for which Fi’s talents are crying out. ‘Saturday Live’ in Fi’s hands was an unmissable weekly experience, whereas, following her suspiciously sudden departure, it became anything but, when entrusted to the Rev. Coles and his thesaurus-imitating verbiage – how amusing it was when one of his guests had to be told in a whisper the meaning of ‘peripatetic’! The recent alterations swallowing up John McCarthy’s and Sandi Toksvig’s travel programme (shades of the disastrous ‘Roller-Coaster’ experiment?) and providing Sian Williams with a radio-slot are no enhancement. Miss Williams provided a pert presence on the TV ‘Breakfast’ sofa to counter the inanities that forever drop from the mouth of Bill Turnbull, and she is to be congratulated for having nothing to do with the BBC’s incomprehensible migration to Salford, but her voice is not distinctive enough for the radio. Another commentator’s description of it/her as ‘bland’ is spot on (see M. Forrester’s contribution above). On the other hand, Fi and her voice (with beautiful cadences, vibrant phrasing and sometimes intriguing mispronunciations) always made for compelling listening to such an extent that, in my opinion, she fully deserved (and still deserves) to become THE voice of Radio 4, thereby filling the gap left by the appallingly early death of Nick Clarke. The expression ‘From the sublime to the ridiculous’ in connection with the jolt inflicted on listeners to ‘Saturday Live’ came again to mind when the dulcid tones on Bamber Gascoigne were heard at the start of today’s edition – the substitution of Jeremy Paxman for Mr. Gasgoigne as host of ‘University Challenge’ was another glaring example of Aunty shooting herself in the foot. One can only hope that Fi can be persuaded to sacrifice Saturday mornings with the kids and either resume her rightful seat or occupy some other of equal significance, for then those of us of like persuasion might once more delight in the joy of lengthy broadcasts by a joyous broadcaster. Yes, I agree with all the Fi supporters. She is sharp ,witty and has a such an intelligent and natural style. Cole is ok, but that ghastly, predictable bore J P Devlin, with his ingratiating and tedious manner (and accent) is such an albatross around the show’s neck. Fi is simply wonderful, dynamic, sharp, funny and intelligent,. But please why is that 800lb gorilla in the corner still there un noticed.I speak of the innane, predictable and most tedious J P Devlin,, is this some regional egalitarianism at work to the detriment of quality. I think Richard Coles has done a great job (with or without Sian Williams, whom the BBC needed to find something for, once she’d decided not to move to Salford). My request is for JP Devlin (the man who loves the sound of his own voice, more than even Libby Purves and that’s saying something!) to leave the show. His digs about Richard moving on and presumably him taking over (big out loud laugh here) fill me with horror! Some Ulster accents, while possessing a warmth in certain conversational or intimate contexts, don’t work well in a presentational role. I can’t listen anymore. Ditto above. Give us a break JP-no one wants to listen ANYMORE. Radio 3 rocks in comparison to your droning. I have to say JP’s bits when he is out and about talking to ordinary people are some of the best things I have ever heard on Radio 4. J P Devlin is out to steal the limelight. Once Rev Cole leave’s, he’ll be centre stage. I don’t think I can breathe. I couldn’t agree more. Although I hope Richard Coles isn’t going as I think he is an excellent presenter and if he is replaced with JP Devlin then I shall give up listening to the programme. Nice to see good old anti Irish racism at play amongst those who would probably claim to be right-on liberals in England. Please remember Radio 4 is not a local radio for the English Home Counties but a national radio station for the entire UK and that includes Northern Ireland. All regional accents are off equal worth and standing but I’m pretty sure the letter-writing members of the home county set would disagree but we in Ulster pay our license fees too and are entitled to hear our accents represented at all national levels of broadcasting. JP Devlin is a delight to listen to as well as being warm and witty. Sorry he doesn’t sound like Philip Schofield but the UK is a big varied country of which England is just one of four constituent countries (for the time being) and the national networks should reflect our diversity. I remember how horribly Gerry Anderson was treated by many Radio 4 listeners in 1994 when his wonderful how Anderson Country was taken off the air because no-one could abide his accent. I often wonder when someone says they dislike an accent if it isn’t a cipher for regarding the people who have such accents as second class citizens. Well Radio 4’s loss was Radio Ulster’s gain in the end. I bet those on this forum would shudder to think off criticizing a black or Asian accent but it seems kicking the northern Irish accent is still fair game. Shame on you.